Congratulations to Dr. Tracy Johnson, Professor of Molecular, Cell, and Developmental Biology, for receiving the 2017 Diversity, Equity, and Inclusion Award for Faculty Career Commitment to Diversity! 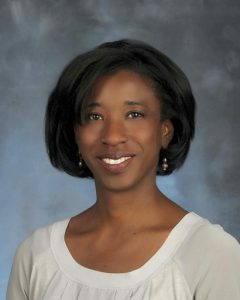 Dr. Johnson, a Howard Hughes Medical Investigator has been instrumental in establishing and supporting the Organization of African-American Students Excelling in STEM (OASES), a program that supports the success of African-American and other minorities in science. She also established a research-based program for first year science majors from underrepresented and underserved groups. As the Life Sciences Associate Dean for Inclusive Excellence, and Co-Chair of the Life Sciences Diversity Advisory Committee, Dr. Johnson has played a major role in making Life Sciences a campus and national leader in diversity and inclusive excellence. Her work has been the driving force for the requirement of a statement on contributions to diversity and inclusion in all faculty merit and promotion dossiers. Finally, Dr. Johnson has developed strategies to achieve excellence in pedagogy and scholarship through diversity and inclusion and was part of a small group of campus faculty who contributed to the passage of the College of Letters and Science Diversity Course requirement.